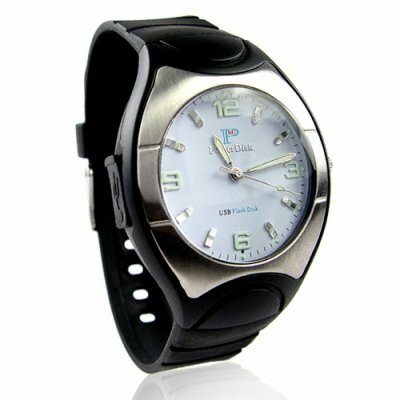 Successfully Added Students Mate 1GB Flash USB Watch to your Shopping Cart. USB watch with 1GB flash memory built in for the modern student or busy business person looking to take their digital information with them wherever they go. This USB 2.0 transfer speed U-Disk is a perfect alternative to the normal easily lost flash disks that everyone seems to have. Just put this nice looking watch on your wrist, and when you need to download or upload information, simply plug it into a almost any OS computer, and you are ready for plug and play blazing fast transfers. single orders for this U-Disk watch are welcome, but for the best wholesale deals log in and purchase in bulk for some serious resale profits..